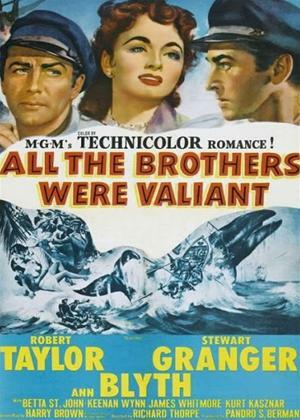 Robert Taylor, Stewart Granger, Ann Blyth et al. Sailor Joel Shore goes looking for his whale hunter brother, Mark who is lost during a disastrous mission at sea. Joel and his wife, Priscilla eventually catch up with Mark on a tropical island - but, to their surprise, misfortune and tragedy have transformed him into a troubled, desperate man. Before long, Mark begins to pursue a romantic relationship with Priscilla, leading to vicious sibling rivalry and a violent mutiny.